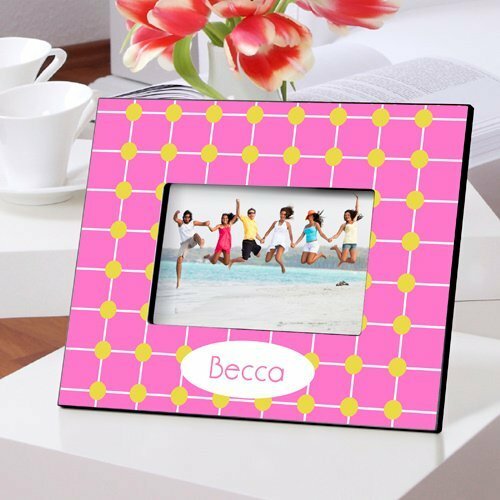 Brighten someone's day with a keepsake picture frame they will cherish! 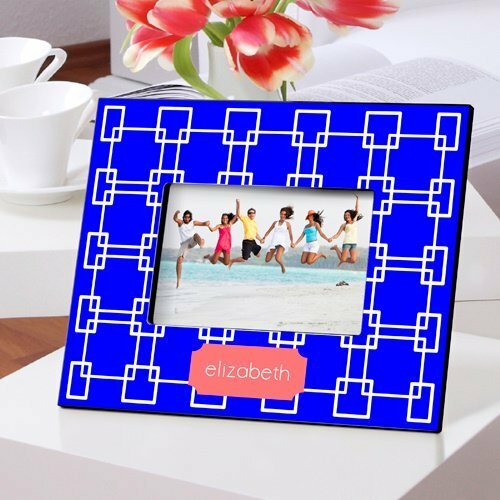 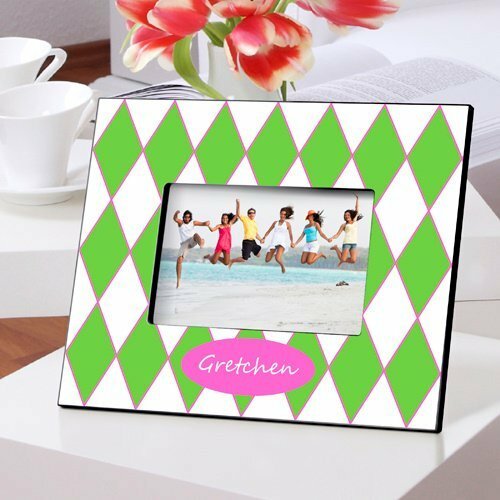 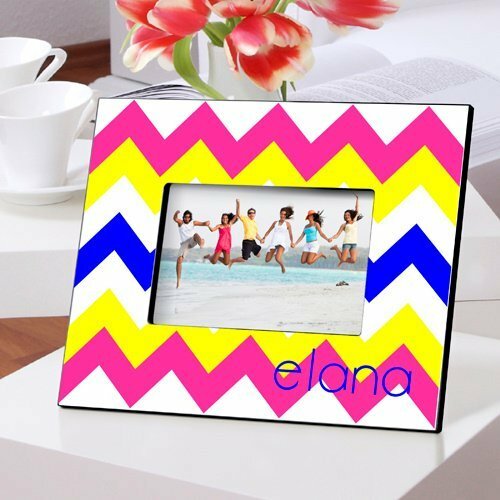 Our Personalized Frames are a lovely gift and simply full of color and flair. 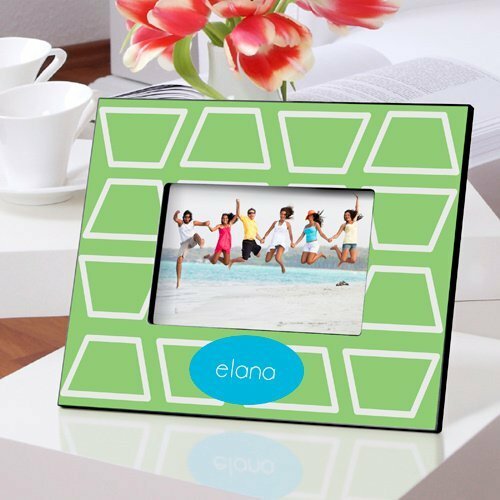 Our modern and trendy personalized frames measure 8" x 10" and hold a 4" x 6" picture. 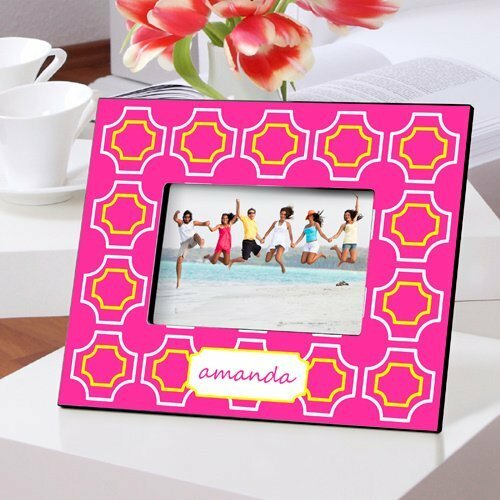 The geometric design frames have twelve styles to choose from and come in the font shown. 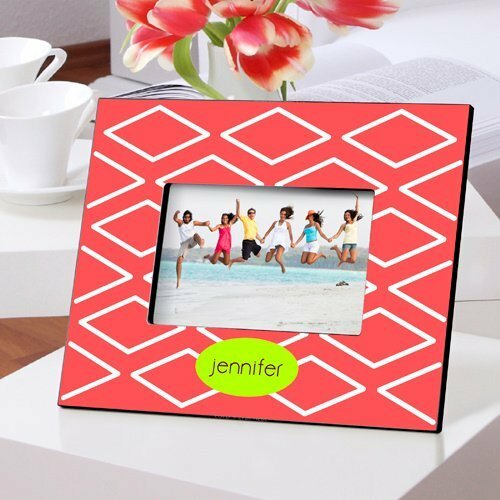 What a great gift idea that will certainly capture many memories.